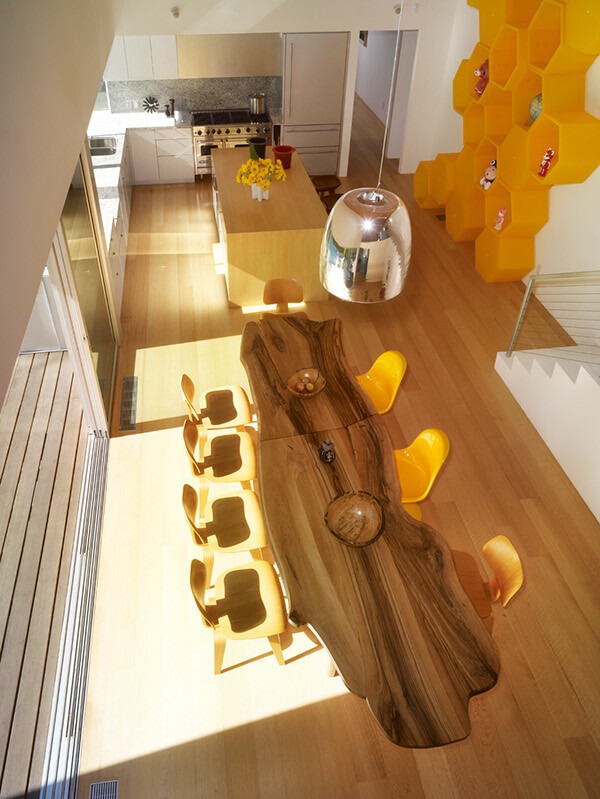 In 2004, Clive Wilkinson acquired the site adjacent to colorful Melrose Avenue in West Hollywood and constructed a new house for his own use. The design needed to express the transition from commercial strip to small scale residential neighborhood, so the scale and detail respond to both conditions. 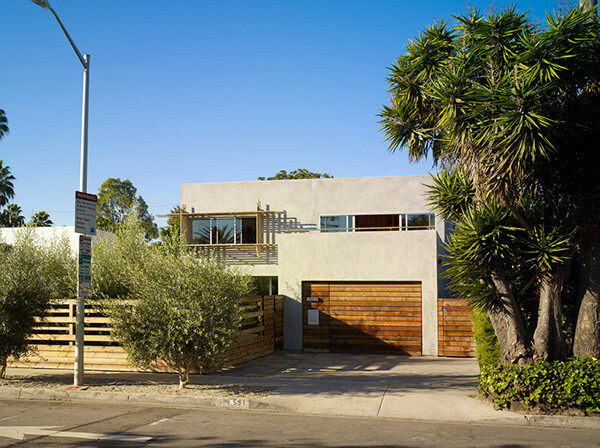 Construction is simple cubic stucco forms, with exposed wood structure, and softened with landscaping. 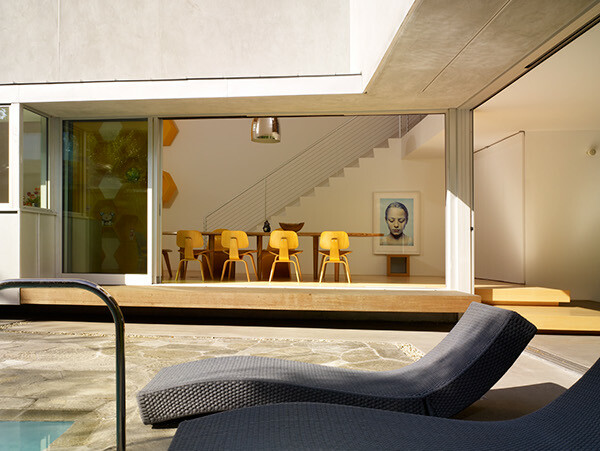 The house is entered through a dense olive grove, and opens up with a long view through the low glass screened living room to the rear courtyard, which is dominated by a 48 ft swimming pool. 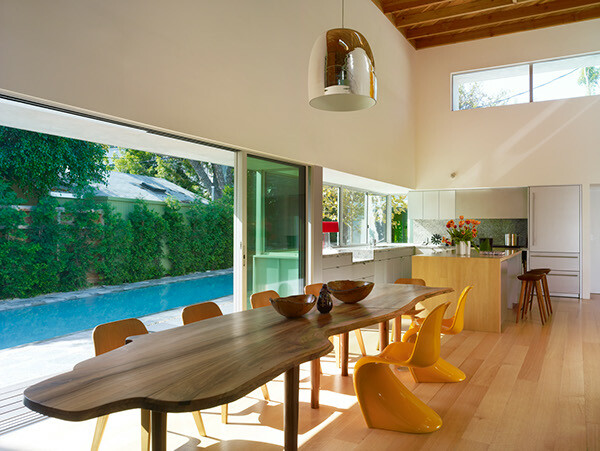 The outside space is shaped by the house wrapping around it, and the large double-height social space of the kitchen/dining room overlooks the pool. 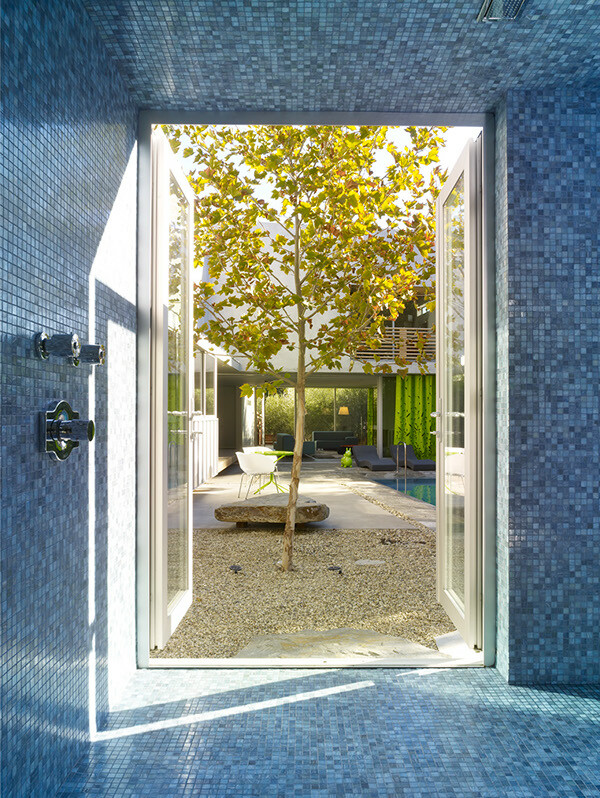 The master suite is located in the rear, with its own courtyard, and has a bathroom that enjoys large glass doors to the pool and a shower that connects directly, allowing a convenient way to shower after swimming. The upstairs area is devoted to flexible bedroom, office and studio space.